Scientists at the University of Antwerp in Belgium have determined the cause of a mysterious white smudge on the surface of Edvard Munch’s The Scream. Using a Macro-X-ray fluorescence scanner, the researchers were able to see that the mark was caused by candlewax, not bird droppings as previously believed. 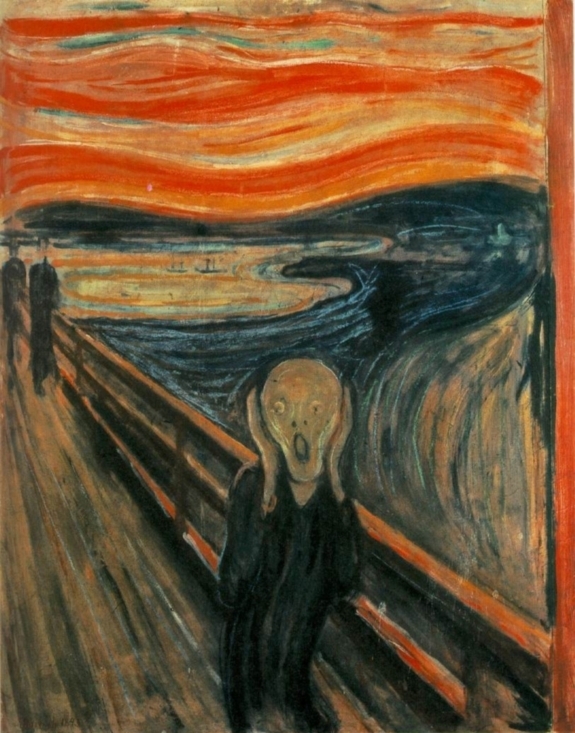 The canvas, which belongs to the Norwegian National Museum, is the earliest version of Munch’s iconic painting. He created four iterations of the work between 1893 and 1910.